Welcome to Dr. Barbara Mitra’s Blog. I am going to refocus on personal ramblings on this blog – anything that I am interested in. I may still write about Media and Culture but equally having a child on the autistic spectrum is a huge part of my life. Enjoy. I have just been listening to some of the ideas written in the book by Danny Wallace in 2002, called Join Me, where members are asked to perform random acts of kindness, (preferably to a stranger) on Fridays. Although this came to be called ‘Good Fridays’ it is no longer limited to just a Friday. I really like the ethos and sentiment behind this in a world where Ego and self seems to have taken over. Being kind is something that is really needed more than ever in this world. I think I will have to read this book. This week I have been thinking about the role that the internet plays in our lives, from our participation in social media to the changes in how we watch television. Ten years ago, we couldn’t have imagined the ways in which such technology influences us…how many of you would now be lost without your phones! For my autistic son, it has led to him finding lots of conspiracy theories on the YouTubers that he loves to watch. He also loves to play games, but as he is someone that needs to complete things, he spends quite a bit of time having to complete levels in the various games that he plays. We resort to apps that turn off computers at set times, and try to challenge the conspiracy theories, but I am sure we can all recognise how addictive these things can be. Perhaps that is why I think we are moving into a different era – one where the search for truth or authenticity is underlying conspiracy theories and one where we have so much information that it can be hard to know what is fake and what is true. I help run a Philosophy cafe, and this week the topic was about freedom and freedom of speech (in its widest sense which includes music, art, video and even social media). In our discussions, I realised that our intentions are important – and when there is the intention to harm someone, then I think that freedom of speech should be limited. However, in relation to our autistic son, we need to teach him what he can and cannot say, as he doesn’t have a filter as to what is appropriate. We also have to teach him what he can and cannot write on social media…one rule that I hope to teach him is never to attack people through his words (and of course deeds). Debates and discussions are so important, but when it moves to the individual as a person, then that moves from debate and discussion to being a personal attack – and thus causing harm to an individual. We need to be prepared to interrogate our beliefs through discussions, but at the same time (as one of my students also noted) respect for each other is so important. This week, I have been thinking about how we behave towards ourselves and others. How our very words and actions can make us better or indeed bitter. With our autistic child we are trying to teach him social norms and how to behave – towards himself and others (not always successfully and it is a struggle). I also had to watch Bandersnatch this week for a lecture I am doing, and this led me to think about how our choices make us who we are…including the way we speak, act and behave towards ourselves and others. Let’s hope that our autistic son learns to adopt better habits towards himself as he struggles with kindness (particularly towards himself) but I firmly believe that our kind words, thoughts and actions always have impact and are never lost – even when it’s hard to do! This week, in the course of my work, I have been thinking about time.I set myself the challenge of applying quantum physics to analysing television programmes which is why I was thinking about time and observations! Think of how time seems so long for a child to wait until their birthday – compared to myself when my birthdays seem to come round far too quickly. This got me thinking about something a colleague once said about my autistic child. They told me to remember that his actual age is not his age emotionally. So instead of thinking of him as being 12, I should think of him as 7 or 8 years old and respond to him in that way. This does make sense to me when I observe his behaviour but I don’t always remember to do this! Sleep had always been an issue – even before our (now 12) year old son had a diagnosis (his diagnosis is ASD/PDA – Autistic Spectrum Disorder and Pathological Demand Avoidance). It was a long time in finding a diagnosis that fitted him but this really does say something about who he is and where he has come from. Before we started using the PDA strategies, he used to be quite aggressive. Thankfully less so now to us (although he can still be aggressive to himself). Anyway, I realise that he is so anxious about transitions that he actually finds the process of moving from daytime to night time overwhelming. He shouts, screams, delays, finds distractions – anything at all to delay the overwhelming anxiety of having to go to sleep. How to help him…it’s hard although the breathing helps, lavender may help, having white noise sometimes helps,… some things work for a while and then stop. We have to teach him how to help himself on this lifelong journey that he is on. I couldn’t quite believe this! A Bill, dubbed the ‘snooper’s charter’ has now become law. It gives more powers of surveillance to the police, security services and official agencies (why would the Food Standard’s Agency require these powers for ordinary citizens)? Maybe my standards of food hygiene will be under scrutiny? I can understand the need for security – but this seems far reaching – the NHS is also included -be careful what you say next time you visit your GP! Surveillance society perhaps? 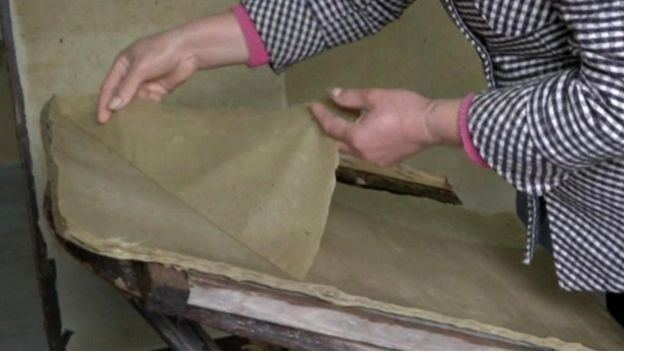 A retired teacher in China has spent two years perfecting his paper made from panda poo. The paper is made by drying panda poo, flattening it and then it gets turned into paper with a mixture of tree bark and kiwi vines. The teacher – Liu Xiadong – notes that not only is the texture great, but it has a delightful bamboo smell. This would be a good story to analyse for our Green Media module. You could be living in Mars in the future with your Mars pod built out of recycled spacecraft parts. National Geographic will be unveiling a Mars show house on their docudrama Mars. Mars is not as friendly an environment as Earth and so your house/pod will need to be suitably designed to keep you alive! Of course, not all attempts to land on Mars have been successful so you might want to check out the safety protocols first!